Jerusalem-headquartered equity crowdfunding platform OurCrowd announced on Tuesday the appointment of Roland Wee as managing director of its Asia operations. Mr. Wee will spearhead the company’s activity in the region, OurCrowd said in a statement. Mr. Wee has two decades of experience in financial markets. Prior to joining OurCrowd, Mr. Wee served as managing director at HSBC Bank PLC and as CEO of HSBC Securities Singapore. Founded in 2013, OurCrowd has raised over $500 million from almost 20,000 accredited investors from over 112 countries, and supported over 130 startups. The firm is led by serial entrepreneur Jon Medved. In the past 18 months, OurCrowd has launched strategic partnerships with financial institutions in Singapore, Taiwan, Hong Kong, India, and Australia. In September, Calcalist reported that crowdfunding investment in Israeli-linked startups is rapidly growing, according to a report by IVC Research Center Ltd., a tech-focused, Israel-based research company. 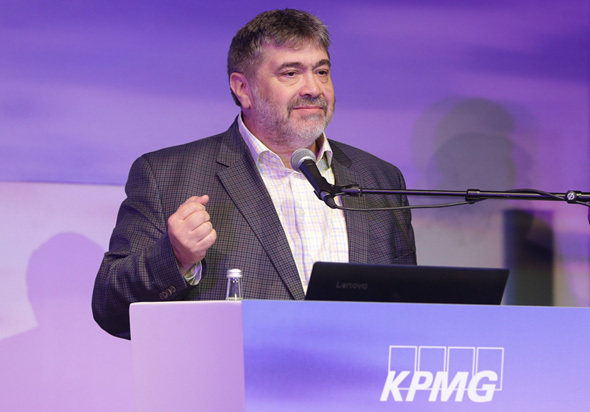 The report named OurCrowd as the most active equity crowdfunding platform in Israel. According to the report, Israel-linked startups raised $173 million through equity crowdfunding in the first half of 2017, around 73% percent of the overall sum raised through crowdfunding in 2016.